In my humble opinion, pre-emptive cheating like pre-emptive war is a recipe for a disaster but I was not going to voice my opinion and try to convert the convinced. Besides, it was much more fun to listen to the conversation, then to be shouted down for my ignorance. Anyway, there was an almost religious-like certainty to the whole thing. One dude even cited Eve as evidence that women were inherently deceitful and therefore untrustworthy. My man went back to Genesis to try to justify his argument. To me, it was quite comical the lengths that these men went to rationalize their philandering ways. Another thing not considered was that maybe some of the women cheated in response to being cheated on, which would make it, retributive cheating. But in any case, whether it’s pre-emptive cheating or retributive cheating, it is still, at the end of the day, cheating, no excuses, explanations or justifications needed. 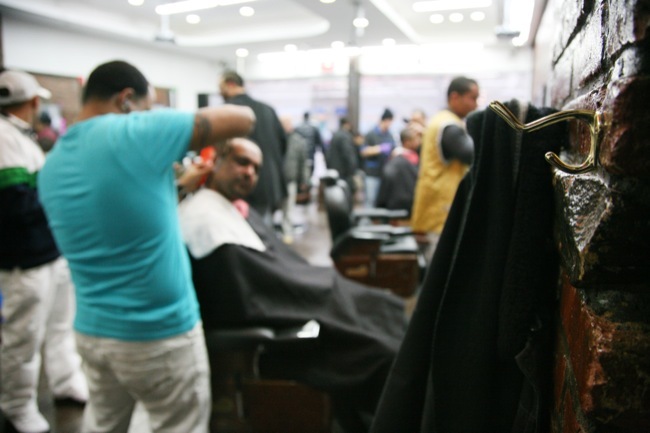 This entry was posted in #WHIN, Writings and tagged Barbershop Trending Topic, Barbershops, Dominicans, Indefility, Latinos, washington heights by Led Black. Bookmark the permalink.